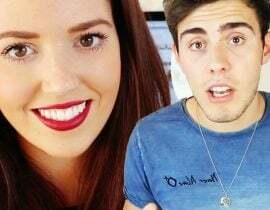 More and more YouTubers and fans are joining the #YouTubeIsOverParty (which is still trending worldwide on Twitter) – but how did it all start anyway? Is it all just a misunderstanding? 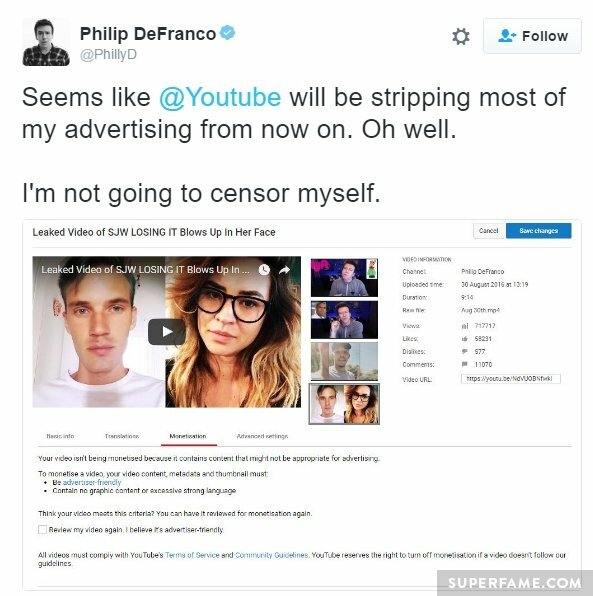 Phil DeFranco was one of the first YouTubers to take aim at YouTube with this video and a tweet. Phil announced that his most recent video was hit by YouTube for not being “advertiser-friendly”, and was rendered unmonetizable. He said that many of his friends were also suddenly getting notifications about their videos not being “appropriate”, and having their monetization stripped. At that time, he seemed to think that YouTube was kicking off a new crackdown on “inappropriate” content, or getting stricter in some way. He showed the notification he got when his news video was unmonetized. According to the email, it was because of “strong language” like swearing. His most recent video was unmonetized because of “language”. 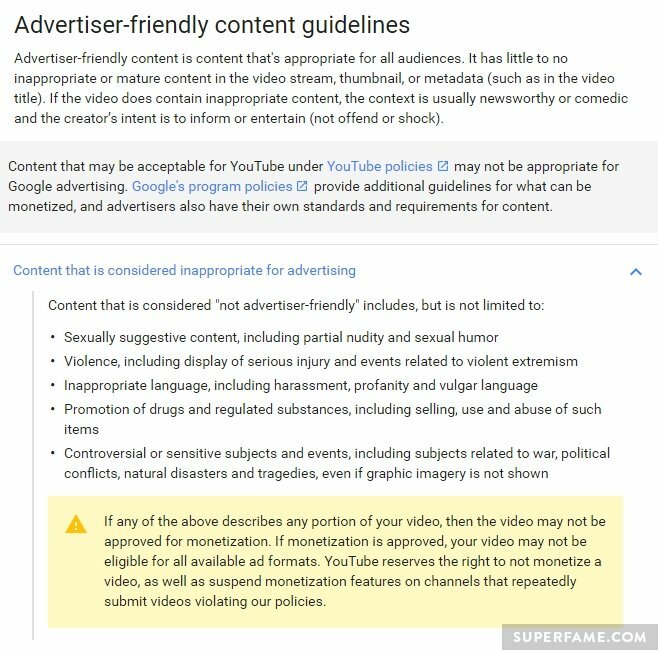 Here are the “advertiser-friendly” guidelines for a monetized video. 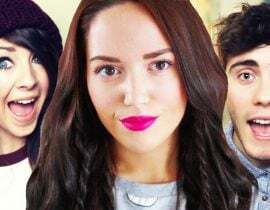 Although none of this is actually new, many YouTubers seemed to think that YouTube was suddenly getting stricter in enforcing them – due to the sudden uptick in unmonetization notifications. Here are some of the guidelines from Google. 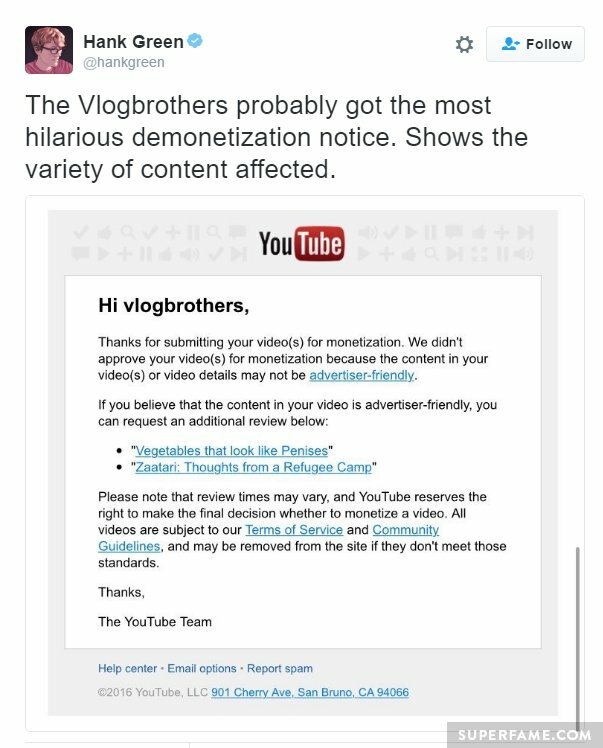 A ton of YouTubers started tweeting about getting unmonetized for supposedly “inappropriate, advertiser-unfriendly” content. 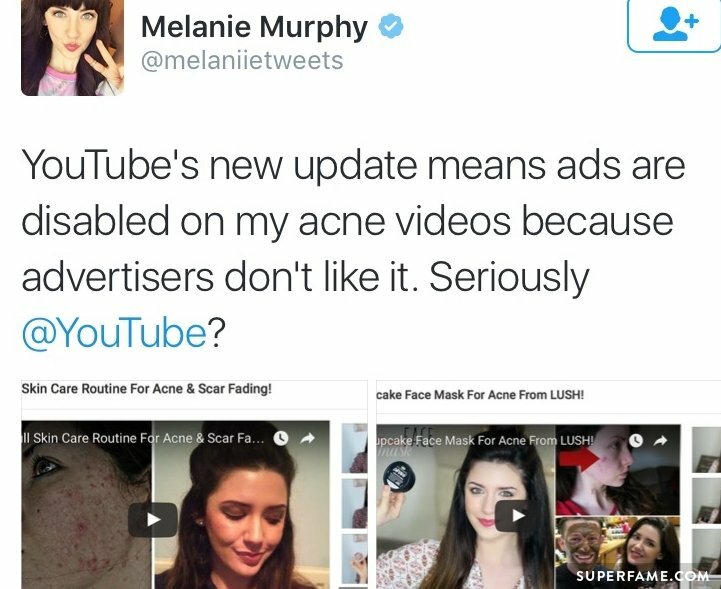 Melanie Murphy was shocked when she was notified that her ACNE videos were unmonetized because they were supposedly not “advertiser-friendly”. 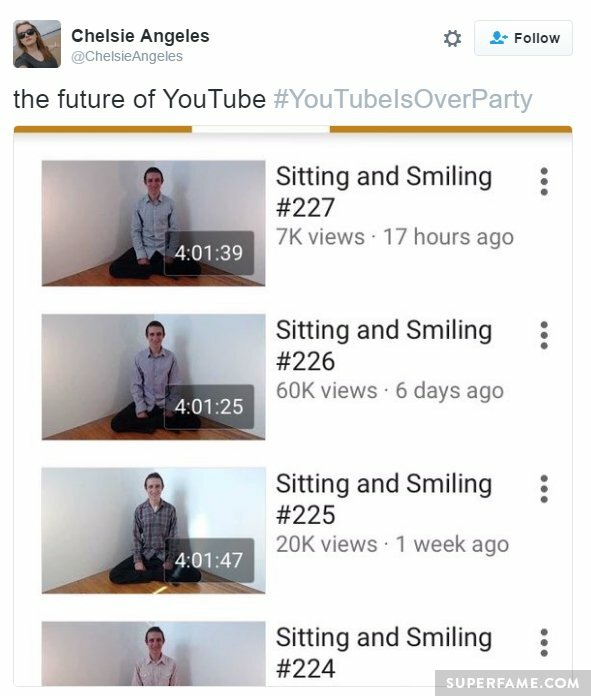 “Seriously, YouTube?” she tweeted. VidCon founder Hank Green was ALSO not safe. 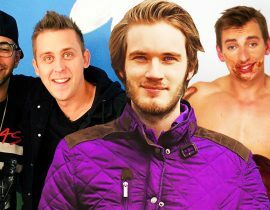 He also got an email saying that some of his Vlogbrothers videos were flagged for unmonetization. One was “Vegetables that look like p******”, and another was “Zataari: Thoughts from a refugee camp”. 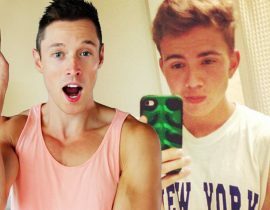 Full-scale panic swept the internet after fans and YouTubers assumed that YouTube was suddenly cracking down on “inappropriate content”. #YouTubeIsOverParty trended worldwide for most of the day. As of writing, it’s still trending! Still Trending: This hashtag was trending for most of the day. Fans were worried that YouTube was going to go all “PG” and feature extremely boring, kid-friendly videos – because practically every popular video is “advertiser-unfriendly” in some way. YouTube issued a statement to various news outlets (and also tweeted about it), and claimed that they didn’t change their “advertiser-friendly” stance or guidelines at all. They also said that there was no new sudden crackdown, and everything was business as usual. They said that the only thing they changed was the notification and appeal system. Prior to this update, videos were flagged but the reasons for unmonetization weren’t mentioned. 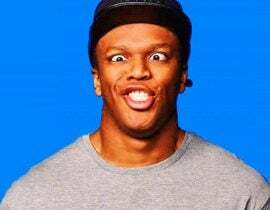 They said that this new update was meant to help YouTubers identify “inappropriate” videos and possibly appeal them. 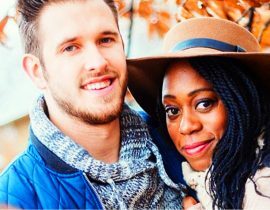 Not everyone was buying YouTube’s claim that they didn’t issue a sudden new crackdown on “inappropriate” content. Many YouTubers and fans asked why videos were suddenly getting unmonetized this week if there was supposedly “zero change” to the “advertiser-friendly” system. 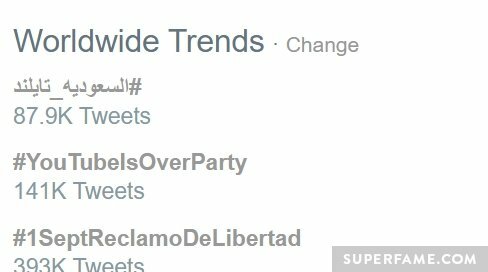 As of writing, the #YouTubeIsOverParty is still going strong on Twitter, and is still trending worldwide.